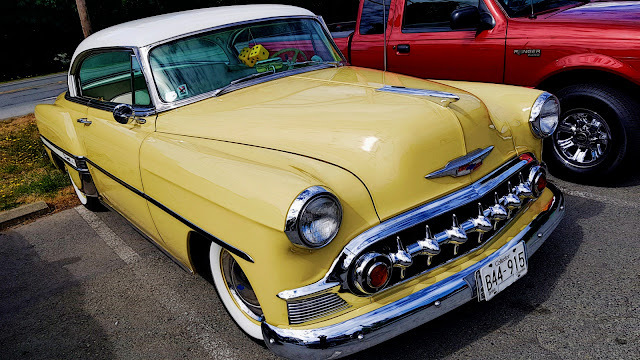 Recently, my wife and I stopped to admire this old Chevy in the parking lot of our favourite cafe. It was well cared for... clearly it belonged to a classic car lover. 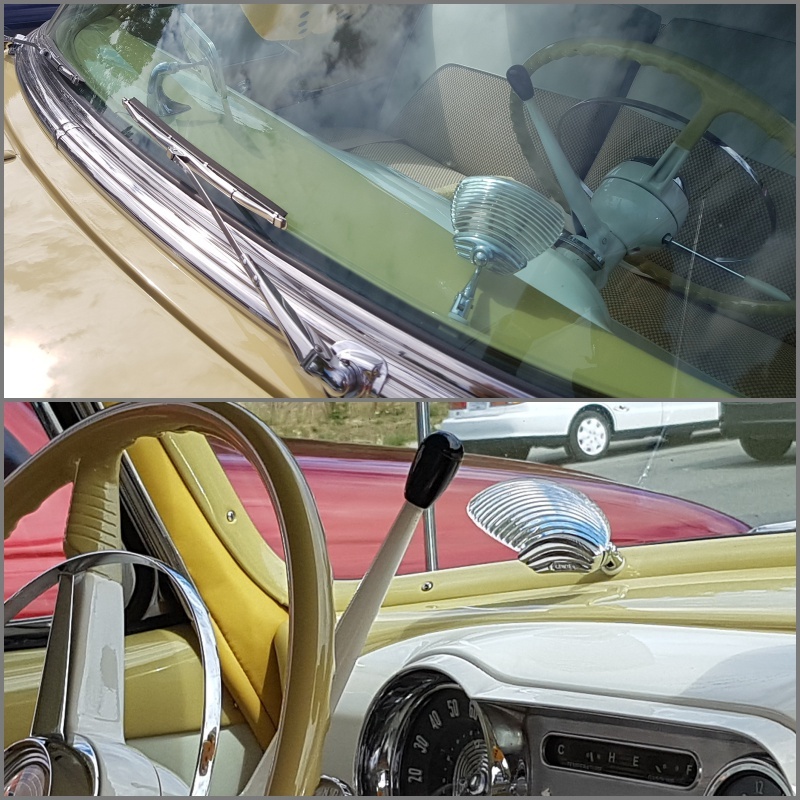 I noticed this oddly shaped prism, mounted on the dash on the driver's side. I had never seen this before and couldn't guess what it was meant to be. I tracked the owner down in the cafe who explained it to me.